Nothing beats being on the open road with the wind in your hair, and jamming out to your favorite songs! I love to road trip, it is the best thing! I love looking at all the beautiful scenery, and just relaxing as we count down the miles to our destination! 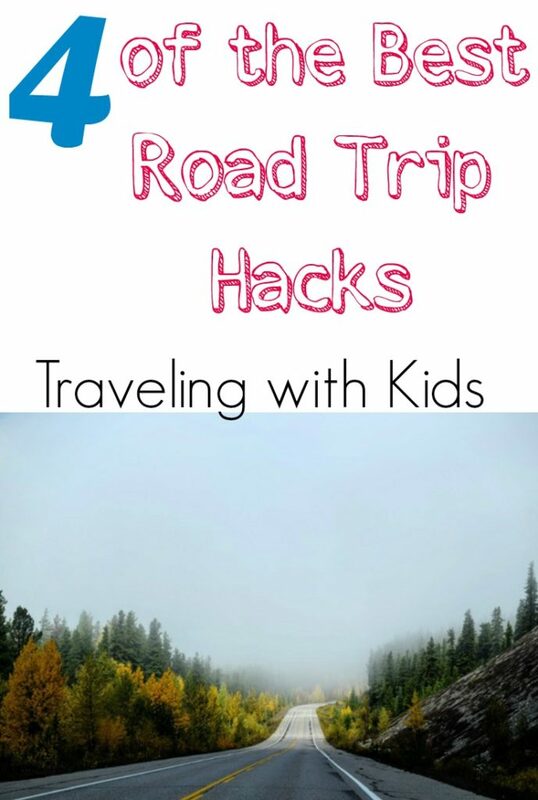 I wanted to share some of the best road trip hacks I could find! These can make any road trip a little bit easier for you and your passengers! Use shower caddies for on-the-go meals – It truly fits your sandwich, fries and drink perfectly in it! Now if you get a salad this might not be the best option for you! Great to have for the back seat, since some cars don’t have very sturdy cup holders. I had this issue yesterday, my drink fell over in the cup holder and made a mess. Car Sick Travel Bag – No matter where you go car sickness could happen to anyone! 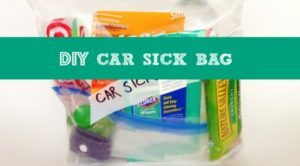 It could even be an upset tummy from the meal you ate, always a good idea to have a DIY car sick travel bag packed just in case. 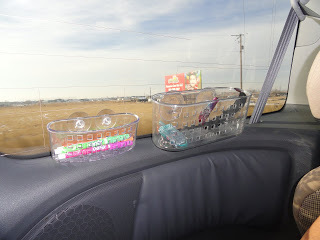 Back seat car organizer for toys- I have seen this a lot, use a shoe organizer, like this one, to store all your baby toys! It hooks to the back of the seat and you can put toys, drinks, a few non perishable snacks and such so it is easy to reach as you travel down the road. Shower Organizer to Store Crayons – Genius!!! Seriously plain genius, buy this shower organizer by clicking here, and store crayons, markers, colored pencils for your child. They can just reach in and grab as you are driving down the road. No fear of them spilling and then the kiddo not being able to reach them! Love this idea! Hope these tips helped you, I know for me they will come in handy as my little man grows! What is a good tip that you have used or know of that should be included as one of the best hacks for road tripping? !